Going to UN conferences to contribute my own quota to climate change has been a dream dear to my heart. I have always fantasized about learning the operations of the UNFCCC as well as learning how to negotiate a global climate agreement. Who knew my dream would come to reality one day? I sometimes doubt myself, but on 22nd-23rd of September 2016, my dream eventually came to reality. I have always looked forward to going to the UNFCCC Conference of Parties to see and understand how things are done. However, I did not know that I could also get to experience the negotiations of a global climate deal right in my own city, Abuja. 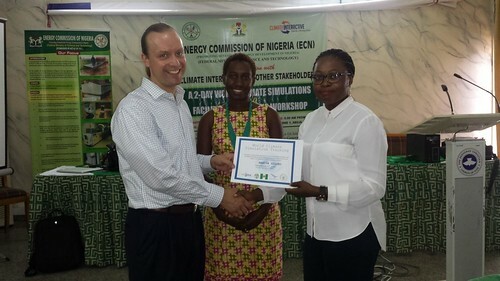 The World Climate Simulation and facilitators training organized by Climate Interactive in collaboration with the Energy Commission of Nigeria gave me this opportunity. When the day eventually came, I woke up early in the morning filled with high spirits and expectation. I put on one of my best clothes and went straight to Parkview Hotel, Abuja where the event was held. I walked in majestically to the World Climate Simulation and Facilitators Training. Little did I know it was a time for me to become a negotiator at the UNFCCC. You should have seen my facial expression….guess what? I was filled with excitement. Ha! Imagining myself in Marrakech, Morocco was another excitement as I represented one of the delegates from the United States of America to negotiate for a global climate agreement and using the new C-ROADs software to see the impact of our decisions – in real time! I could not wait to start negotiating…Haha. The first round of negotiations began, but nothing much happened because we were not thinking of other countries, just us, the United States only. We discussed what to contribute to meet the UN target of keeping global warming well below 20c — what year to peak emissions, what year to start emissions reduction, and an annual reduction rate, not forgetting to prevent deforestation and promote afforestation in the United States. 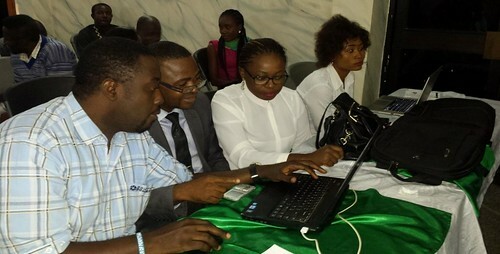 After watching our pledges entered onto C-ROADS and seeing that we had not reached our global goal, we moved straight to the second round of negotiations, where critical deliberations occurred because we had to get other countries to consider and achieve the UN target to maintain warming at well below 20c. I learnt that all regions of the world need to commit to ambitious targets, act now, and act as fast as they can. 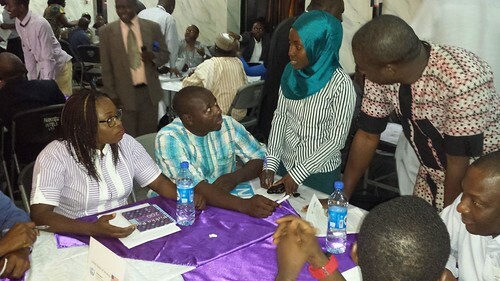 Country delegations were moving from table to table to deliberate on the best outcome. Finally, we arrived at a good conclusion of 2.20c but it was a very delicate process with some distraction from climate activists saying that no region should marginalize and the polluter pays principle must be applied. Finally, the conference came to an end. Coming back to myself from being a negotiator, I can see I gained knowledge and experience of how detailed negotiation is done at the UNFCCC Conference of Parties. I became more excited when I was taught how to use the C-ROADS software. C-ROADS enabled me to see that one country alone cannot solve climate change. We could see from our inputs of emission reduction pledges and the outcomes of temperature increase, sea level rise, and ocean acidification that climate change is a global issue that does not respect national borders, it affects everyone no matter our location. Fundamentally, we need to see the world as a system and join our hands to reduce greenhouse gas emissions which lead to global warming. Finally, if we must do this, all regions of the world must make stiff decisions and act now for us to maintain warming well below 20c. It was an awesome experience and I look forward to facilitating my own World Climate Simulation and using the C-ROADS software.